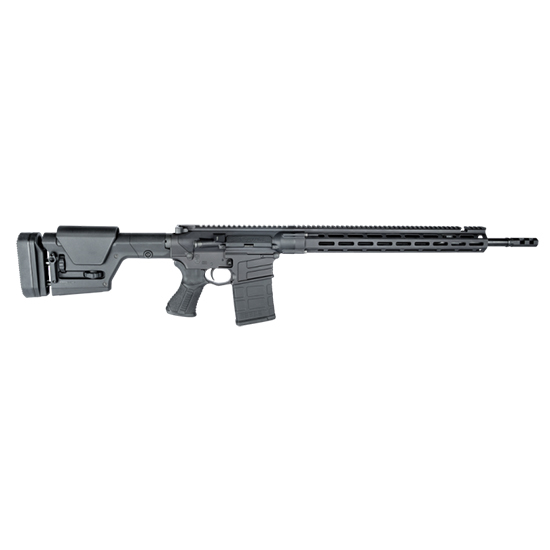 Savage 22904 MSR10 Long Range Semi-Automatic 308 Winchester|7.62 NATO 20 10+1 Magpul PRS Black Stk Black Hardcoat Anodized|Black Melonite in. Savage Arms MSR 10 Long Range is built on a compact frame with a nonreciprocating sidecharging handle. It has a Blackhawk AR Blaze twostage target trigger Magpul PRS adjustable buttstock a fluted Melonite QPQ finish barrel and a freefloat MLok handguard.